Interested in Bushido? Well being a samurai is not all about fighting. Read on to get a sneak peak into the highly revered culture of Japanese samurai art. The Samurai is the name of a warrior class of people that developed many centuries ago in Japan. We find that the Samurai have been glorified via many silver screen flicks, comic books and theater plays in recent years. The history of the Samurai seems to be equally as fascinating for children as well as adults. To understand the development of Samurai art we must first understand how this warrior class came into being. It was in the 12th century when Japan was stifled in clashes between two powerful local clans known as the Taira and the Minamato. It was during this time that the Japanese system of rule known as Shogunate with the Shogun on top was formed. The daimyo were the second in command in the hierarchy of the Shogunate. This position was similar to that of dukes in Europe. The Samurai class was then the military of a daimyo. Ronin is the name given to a Samurai that did not have a master. This happens when their master is forced to commit suicide. The Samurai class had many privileges. Unlike the commoners who were not allowed to carry any weapons with them the Samurai was allowed to carry two swords with them. They even had the right to behead any commoner who happened to offend them. There were different ranks within the Samurai class as well. There were three basic categories of Samurais namely the housemen who were the administrators, the mounted samurai who were allowed to fight on horse back and the foot soldiers. Over the years the role of the Samurai changed as they now became independent farmers who were restricted to the castles. They were also entitled to a certain percentage of the rice tax depending on their ranks. 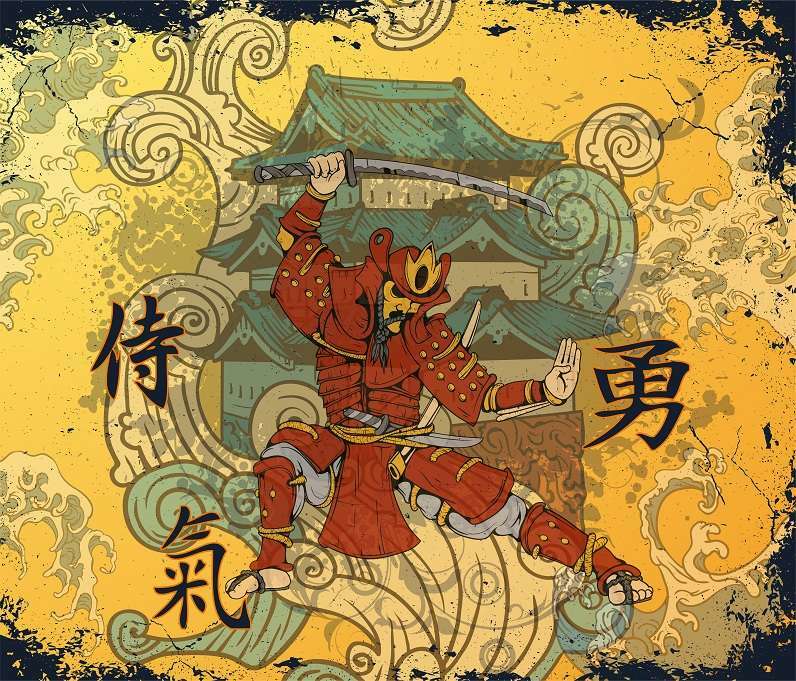 The code of ethics followed by the Samurai class was known as bushido which meant the way of the warrior. It was based around loyalty towards their leader which was the daimyo. Another interesting element of the Samurai class was a practice known as Seppuku. This was a practice of committing suicide and was considered to be a very noble form of death. It was performed within a battle and in a formal ceremony outside of battle. When Japan entered the era of peace the Samurai class shifted from its former position into bureaucracy. The colorful history of the Samurai plus the glorification they received through the film media and other such publications led them to be known on a global scale. For many non-Japanese people the concept of a Samurai was very intriguing. The sheer discipline and the code of ethics followed by the Samurais was something unbelievable for the rest of the world. It was but natural that the Japanese artists of the time were inspired by this warrior class which played a fundamental role in the governance of the country throughout the years. During the changing years many artists drew inspiration from the Samurai and depicted them through various means of art. Samurai art seems to have a great appeal on the people unfamiliar with the Japanese culture as well.